Today I'm back with something that puts a smile on my face, despite the VAT rate rising to 20%...grrrr. 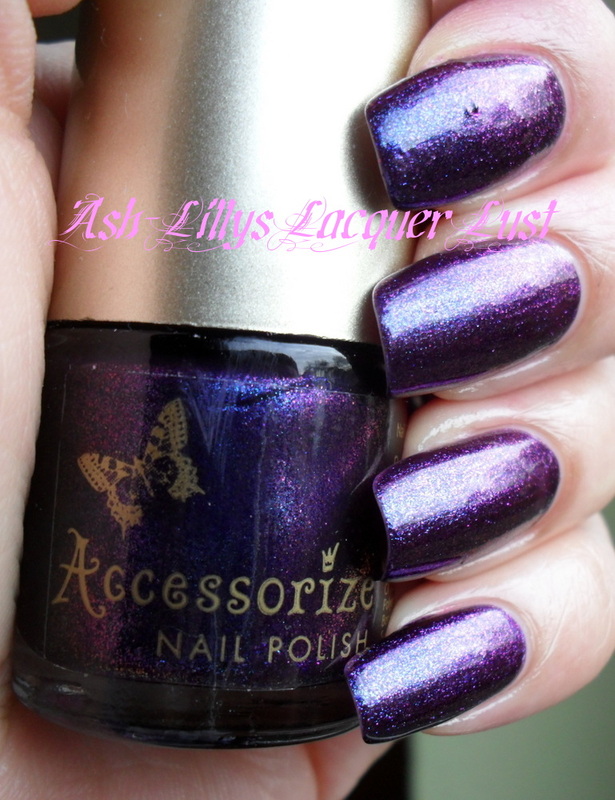 As promised, here is another gob-smacking polish from the Accessorize Illusion Collection - Purple Dream. There are quite a few more in this collection but I have yet to pick them up. Blue and purple micro glitter in a purple base. Don't let the glitter put you off though. Removing this was easy as pie. This was three coats. If and when I do get some more Illusion polishes, you will be the first to know. Of course! Such a pretty one! Love it! I feel accessorize copies cosmic fx collection. these polishes are the same! Sakurai, I think you are right...but then the FX collection has sooo many dupes already. The formula seems easy to replicate then! nice.. reminds me of the Venemous Villains collection even though it's not all that close to Formidable! 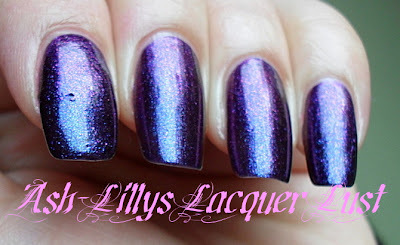 gorgeous purple shimmer!!! and your nails are so long and lovely! Pretty! I have really got to get my hands on some of these. I do love this polish, it's even better in real life. If you can get 'em, get 'em Karen. AnnKiin's - these polishes were £4 and they are all on the website. If you can't find them in Accessorize ladies, try Superdrug. Thanks for the love ladies.